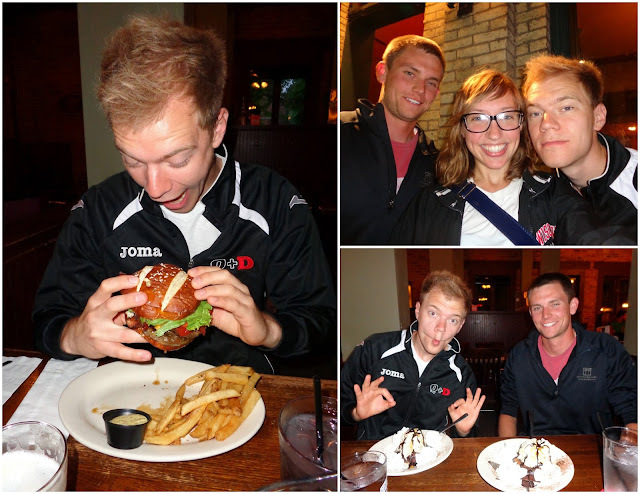 After some much needed sleep on Sunday night (after spending the weekend in Minneapolis, after spending two weeks in Quebec), Max (from Munich, Germany) arrived in Madison! 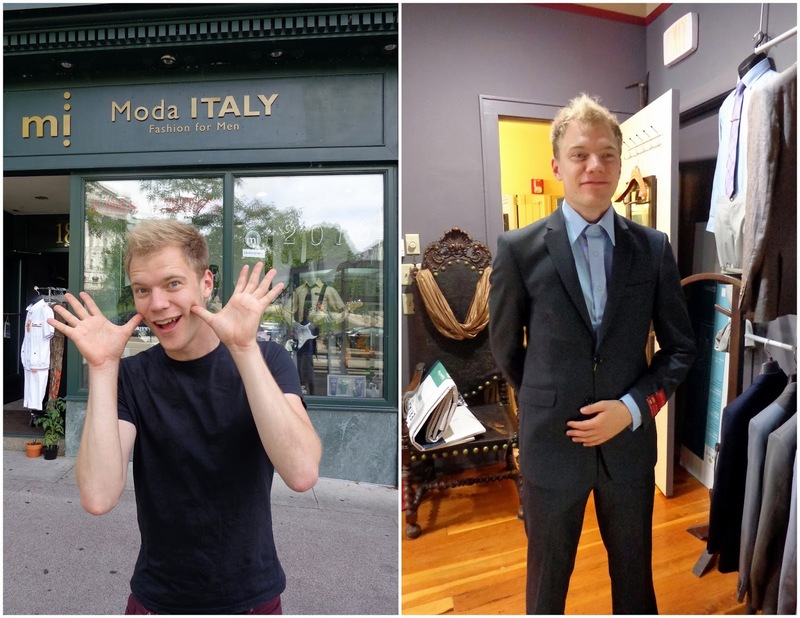 He finished his Master's degree (physics) in Madrid this spring, so he's doing a Canada/USA trip for about a month before he begins the job hunt. 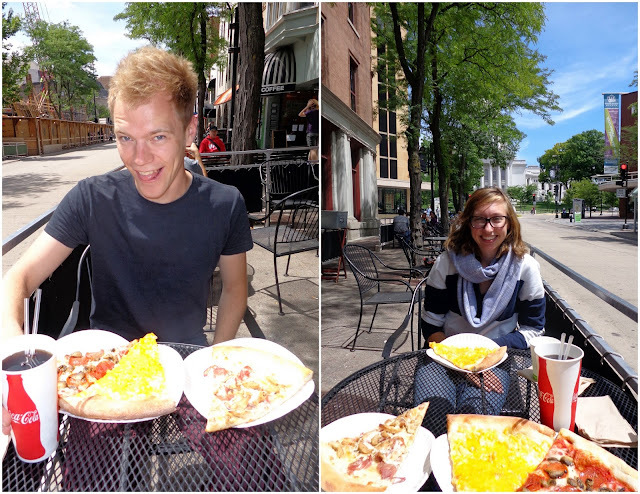 We had lunch at Ian's Pizza, a must-eat for anyone visiting Madison. Max got three slices! The guy behind us in line couldn't believe that Max was going to eat all three for himself -- but he did it! After lunch we went suit shopping, because Max is attending a wedding this weekend in Portland, OR. Originally he was going to rent, but there just so happened to be an Italian suit shop right on the square (Moda Italy) where Max found a suit he liked! 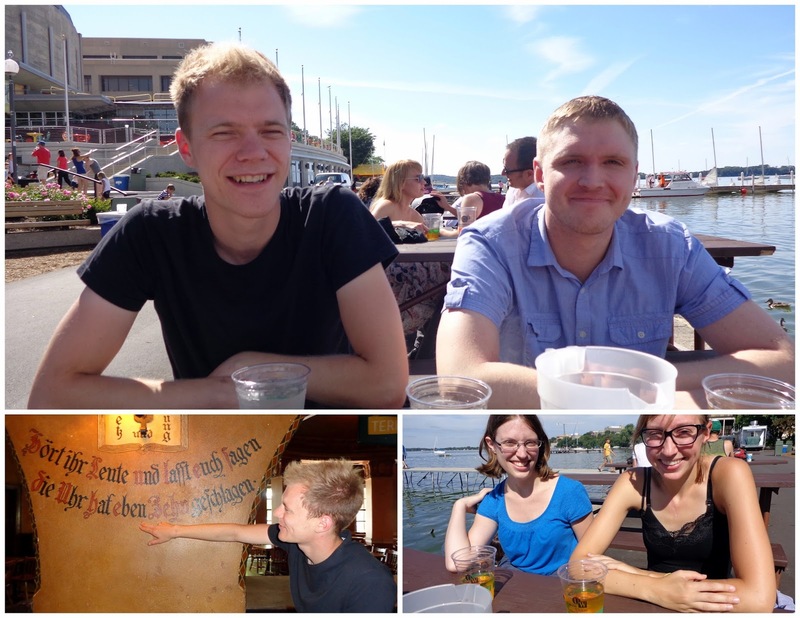 We walked down State Street to the Memorial Union terrace, where JJ and the sister joined us for a pitcher of cider. While walking through the Rathskeller on the way in, Max translated some of the German phrases that are painted on the walls for me. I went to work on Tuesday while Max did some errands, shopping, and travel planning during the day. He met me at work at the end of the day to come along to my frisbee game. 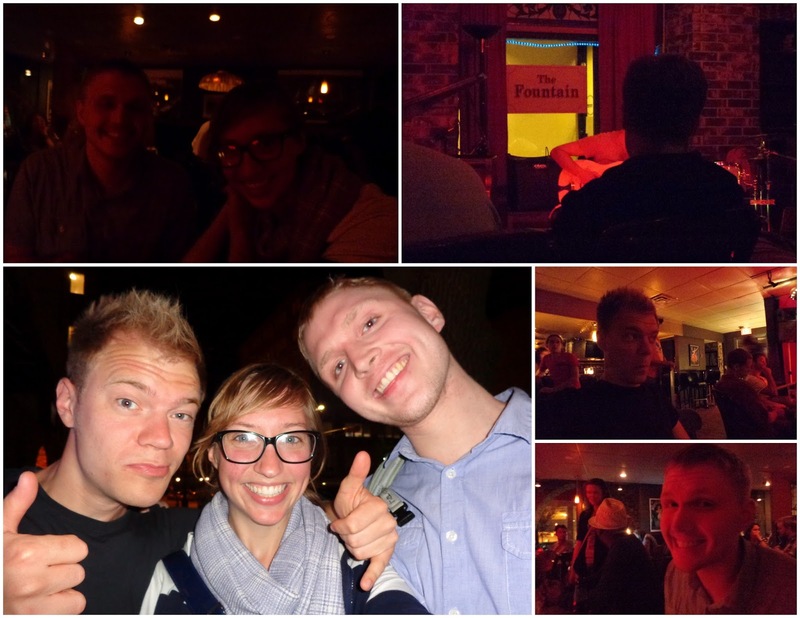 The civil engineer came to watch my game too, so the three of us went to The Great Dane afterwards for dinner and beer. Max got his hair cut on Wednesday at 12:30. 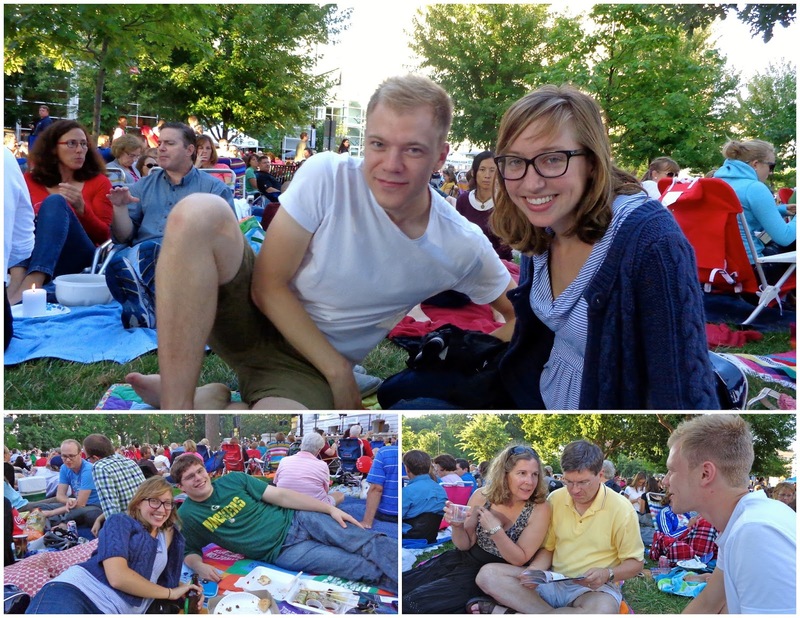 After a late lunch and afternoon naps, we headed to the last Concert on the Square of the summer. That night Max finished packing up and it was off to bed, as he had an early cab ride to the airport in the morning for the weekend wedding in Portland, OR.